Wash and drain the rice and place it in the rice cooker. Add the coconut milk, salt, and pandan leaves. Cook per instructions of the rice cooker. 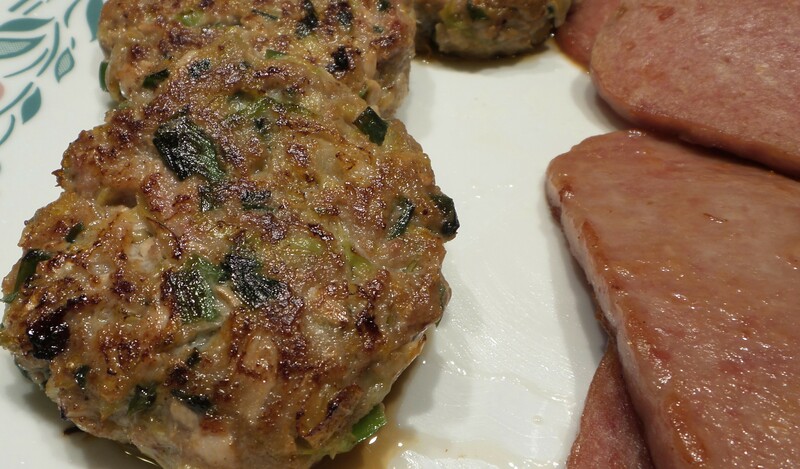 Follow instructions for Chinese/Homestyle Meatballs to prepare the ingredients. 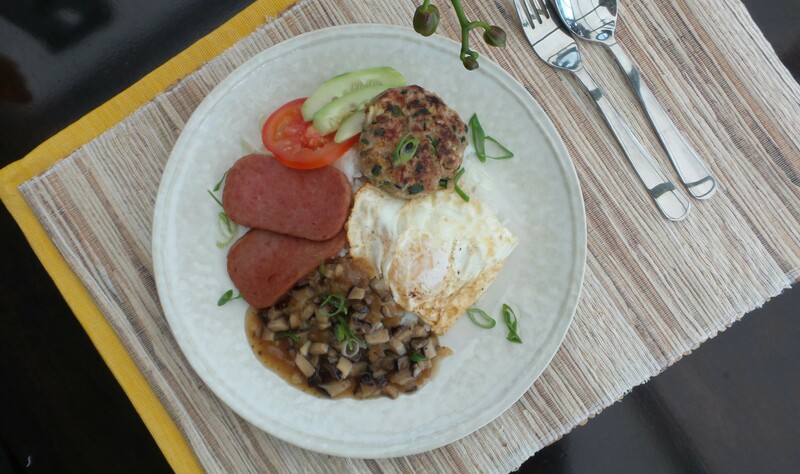 Shape into hamburger patties, pan fry over medium high heat till golden brown on both sides. Sauté the chopped onion with 2 Tbsp canola oil over medium high heat until onion is softened. 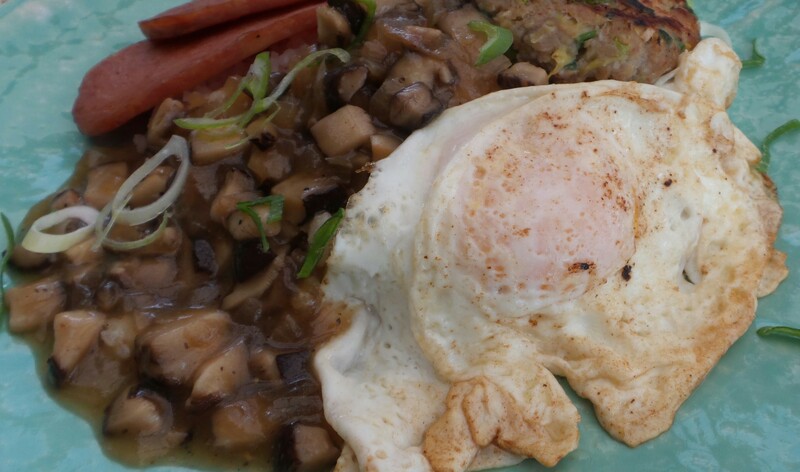 Add the chopped mushrooms. 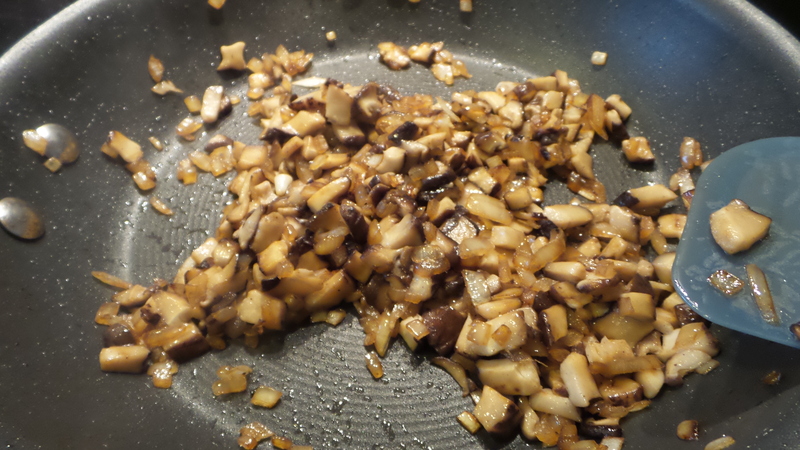 Continue to sauté until mushroom is soft. Add the chicken broth, worchestire sauce, light soy sauce, and bring to a slow boil. Add the cornstarch and water mixture slowly while stirring. The gravy will thicken. Add the black ground pepper, give it a stir and set aside. Pan fry the spam slices over medium high heat until brown on each side. I fry the spam without oil as oil will be oozing out as the spam cooks. Fry the eggs sunny side up in the same pan. There is no need to add oil. Just use the oil from pan frying the spam slices. 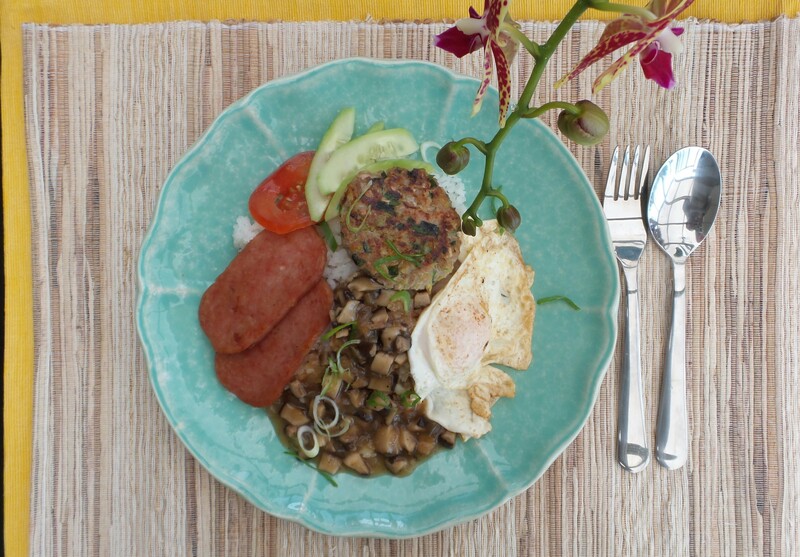 Scoop a serving of coconut rice into serving dish, top with a meat patty, two slices of spam, and one egg sunny side up. Ladle a scoop of gravy over the coconut rice. Garnish with tomato, cucumber slices, and sprinkle with chopped scallions.